Israel’s apartheid wall is planned to span 790 kilometres and utilise three million metres of barbed wire. Its construction is an attempt to annex Palestinian land through the forced displacement of families from their homes and farms. The International Court of Justice issued an advisory ruling in 2004 that the wall was illegal. 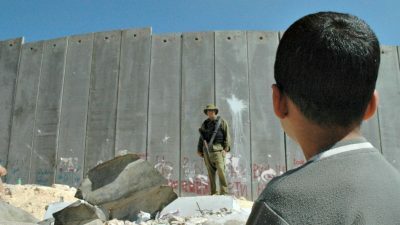 But governments did not take action to prevent companies profiting from the building of the wall – and did not exclude Israel from international organisations or stop the flow of military aid. In response to this inaction, in 2005 a coalition of Palestinian and Israeli civil society groups called on people around the world to implement boycotts, run divestment campaigns and press for sanctions against Israel. 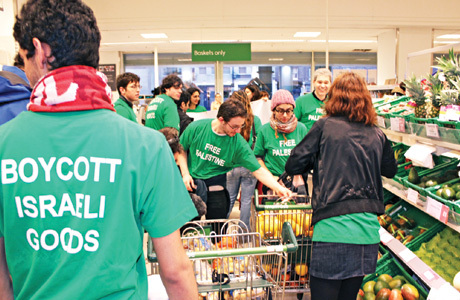 This boycott, divestment and sanctions (BDS) strategy allows ordinary people to take action in their communities and workplaces and be a part of the popular struggle for freedom in Palestine. In April the European parliament ended a contract with G4S over concerns about the role the company plays in equipping Israeli prisons where Palestinian political prisoners are held. Meanwhile, the Co-op announced it would extend its existing boycott of goods from Israeli settlements to all companies exporting from Israeli settlements. The simplest action you can take is as a consumer. Refuse to buy Israeli goods and tell the retailers that you are doing it. You are most likely to see Israeli goods on sale at the supermarket, as all of the major supermarkets sell fruit, vegetables and herbs from Israel. Additionally, Delta-Galil Israeli textiles are sold at Marks and Spencer, while plastic products manufactured by Keter plastics, a company that owns a factory in the settlement industrial zone of Barkan, are sold at B&Q, Robert Dyas, Toys R Us and Argos. Barclays is the high street bank with the most significant investments in Israeli companies. Direct action is another effective tool. In 2004 campaigners blockaded the Middlesex depot of Carmel-Agrexco, the Israeli state-owned fruit and vegetable exporter. This was the first of a series of direct actions that mushroomed into a Europe-wide consumer boycott campaign. In 2011 the company announced losses of €33 billion and was ordered into liquidation. In Norway and Sweden, campaigners have successfully pressured pension schemes to divest from companies such as Elbit, the Israeli arms manufacturer. In the UK, the Universities Superannuation Scheme (USS), covering most academic staff at pre-1992 universities, invests in arms companies supplying weapons to Israel and companies operating in Israel’s settlements, whose activities are illegal under international law. Local government pension schemes, in which many public sector workers’ pensions are invested, hold similarly dodgy investments. These schemes need to be called to account. Companies complicit in Israeli apartheid, militarism and occupation provide services to local councils, universities and the NHS. 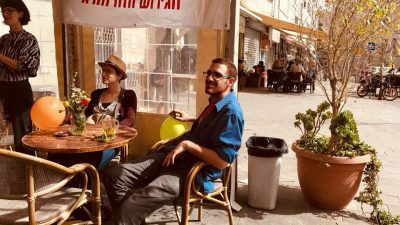 For example, Veolia, a French multinational involved in the consortium building the Jerusalem light rail tramline in occupied East Jerusalem, has contracts with councils all over the UK. ISS, which provides services to West Bank settlements, holds contracts with London Underground and the NHS, while G4S (see above) holds contracts with local councils and the Home Office. Why not start a campaign in your area aimed at excluding these companies from tendering for contracts?